• Cardio Ellip: 0:35:00 Avg HR High 160s. Hit 170s fiest @22m. Kept fluxing badly (say 196 then 96.) Felt ow, but eh. • SuperSet w/ Crunches 10rep*3sets. • Dont-Drop-Its, 10lb*10rep*3sets. Almost DID drop it on last set! • Calf raises (one leg) *5rep*3sets each leg. I think the feral housecats stole my pedometer.. They DID carry away my needlecase & chalk pencil (I found the teethmarks!) The pedo's so BIG though...Empty couple days. Didn't do the Calusa Nature Center: turns out he doesn't really want to go (I figured) so I need to pick a day to go alone. Deb made a fantastic Spetzla(sp) & Meatballs. I made a pretty good stuffed tomato (rosted, filled with cous-cous, with parmesan and feta). Loved it. Its almost a cook-off around here. I'ma tell Shane it's his turn.Patriot Games: good flick.Gosh I feel so brain dead. Facebook and Privacy: My 2c. I don't live on Facebook, but I do check it every couple days, and I have certain family members and friends selected to send me SMS updates when they post something new (these are people who don't post often, or in some cases, their every quip is gold and shouldn't be missed!) I noticed yesterday that I had a new message; yet, when I logged in that message was gone along with the person who wrote it. She had deleted her profile page. I went to email her and noticed that I did not have her email address in my contact book: I always got her information from her Facebook page when I needed to get ahold of her. Almost all of our interaction of late has been through this social networking site. I sent a FB message to a mutual friend, who didn't have her information either. After a little digging I was able to find this friend's email. How appalling to realize how I relied on this site to keep in contact. 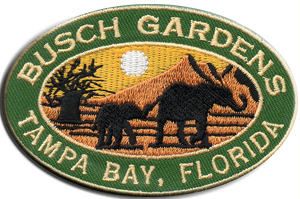 2010May19 - Busch Gardens Africa - Tampa FL. May11.2010 Long Tuesday, longer Wednesday. WHO says AZ isn't Green?